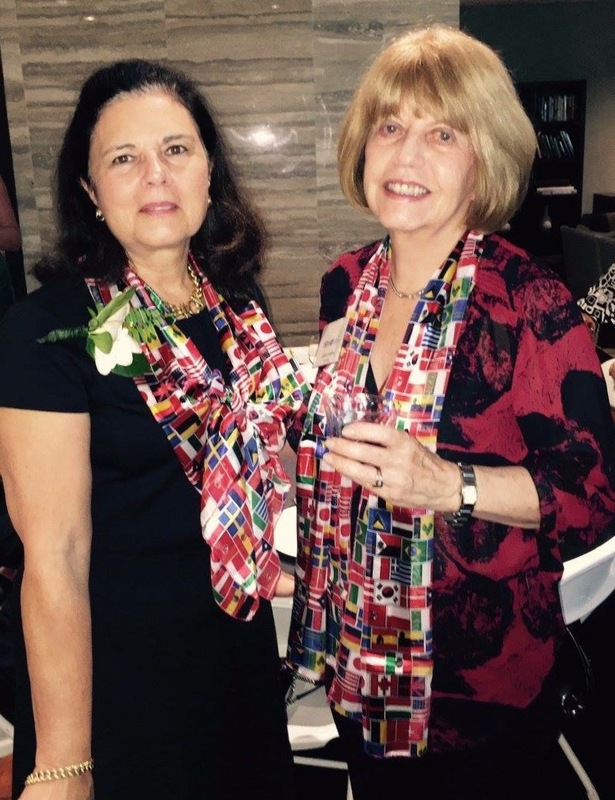 Here is another great way of contributing to the BIWC scholarship fund at the same time as you send a congratulatory note, or get well wishes or express condolences, or just to make a friend smile. 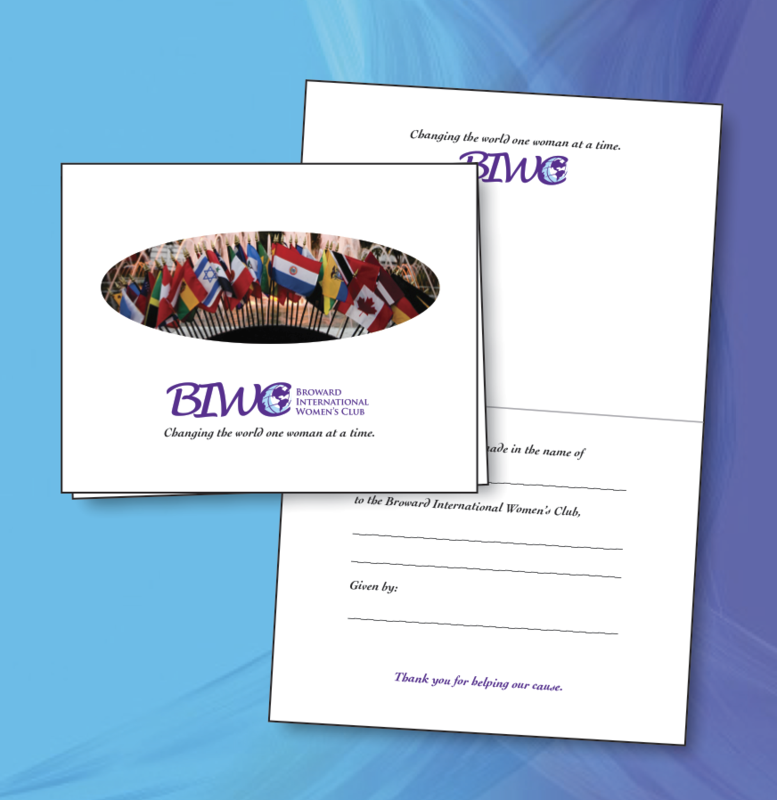 Your friend will receive a card stating that a contribution has been made in their name to BIWC. Contact Irene, tell her the name of the recipient, the occasion, and the amount you wish to donate. She will complete and mail the card in your name. Minimum amount is $5, and the donation amount is not disclosed to your friend. To contact Irene, you can find her in the passport, or use the contact form here. These are beautiful silky scarves, get yours to wear with pride! Donation amount is not disclosed to your friend.